I have an 03 Acura Cl 6 speed. Currently the only mods I have to the car is Eibach Springs/Struts and a JTC Customs Short Shifter. 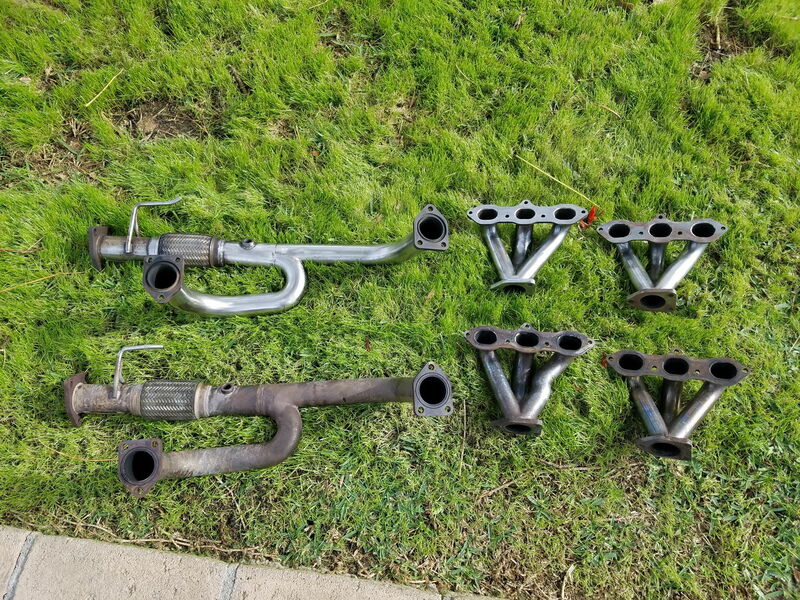 I just purchased a set of the Magnaflow 14832 Mufflers, and plan to update all of the piping to 2.25" and deciding on whether i want to remove the resonator, or upgrade the resonator to Magnaflow and whether its worth it to upgrade the cat to a highflow. I am in the process of purchasing some headers, as it appears I have 3 choices to choose from, XS Powers, Manzo, and Comptech. It appears the XS Powers run around $260 shipped, manzo around $120, and comptech $650. I live in TN, so CARB is not important. What are your recommendations of these 3, as I would like to get the most power out of the headers as I can, One of the reasons I am upgrading the piping to 2.25" for the exhaust. I will most likely be upgrading to a DIY 3.5" Cold Air Intake also. 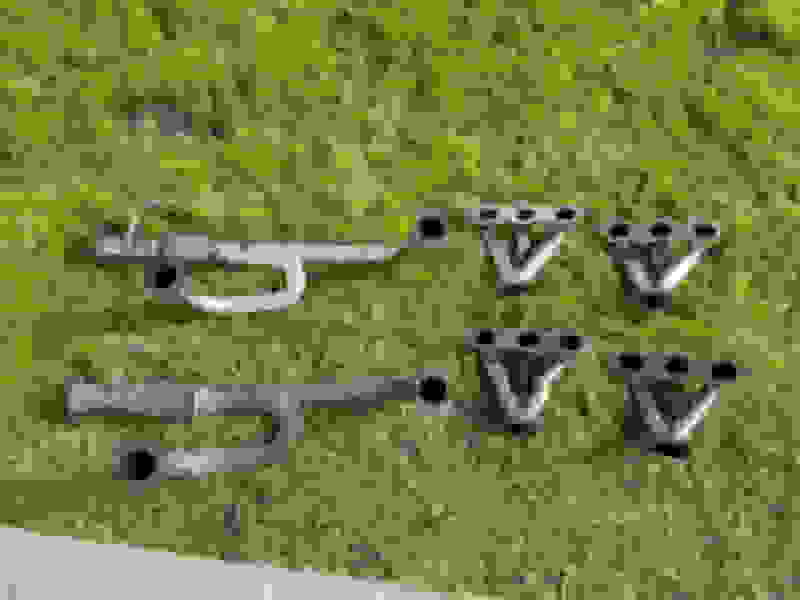 If you have sourced a set of CLS-6 Comptech headers for $650, then those would be the one's I'd get. Make sure they have the 'bend' in the rear manifold to allow for the rear motor mount bracket. Top set are for an automatic. Bottom set are for the CLS-6. Manzo headers are complete crap! I made the mistake of trying them out, worst $120 I ever spent. i have a set of comptech and manzos for each of my cls6's the comptech flex pipe took a crap and needed to get a new one welded in... the manzo had to use better hardware and gaskets ... but other that the manzos have lasted 4-5 years without any issues.. I am going to upgrade the piping from the CAT to 2.25 removing the resonator to the Magnaflow 14832. Just trying to get as much flow as possible. What do you think. I was going 2.25 since that is the size of the inlet on the exhaust. would u recommend just doing 2.5 for all piping and having it downsize to 2.25 at the exhaust inlet. and for the resonator, which magnaflow one did you go with. my exhaust is the 14832. If you go with either the Manzo or XS-P headers, the consensus is to not use the nut and bolt hardware provided from China. It is advisable to get Grade 8 nuts and bolts from a local hardware store. Review the thread below if you already have not; especially, post #22. Thanks, I will definitely get upgraded hardware. Just trying to see if its worth $120 more for the XS Power headers over the manzos. XS Power use to be $120 shipped when I bought them. Also, don't use the gasket they include. Buy new ones made by a reputable company. The ones included are thin and tend to leak. Gaskets are cheap, so it's worth getting quality ones.